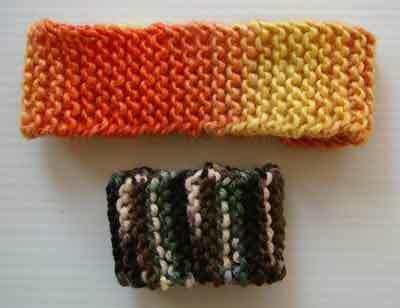 Great for sports or warmth, this basic band pattern can be either a wrist or head band. You just keep knitting depending on what you want to make. 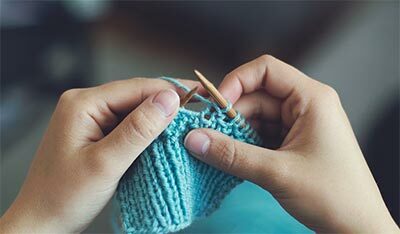 Row 1: Knit every stitch. Row 2: Repeat Row 1 until piece will slip over hand and fit wrist (or fit head) when joined to form a circle. End yarn. Sew ends together forming a circle. IF YOU PLAN TO USE BEADS: Beads may be knitted into one side for bracelet or decorated headband. They must be threaded onto yarn before beginning to knit. Every other row: Pull bead close to needle and complete the stitch as usual. 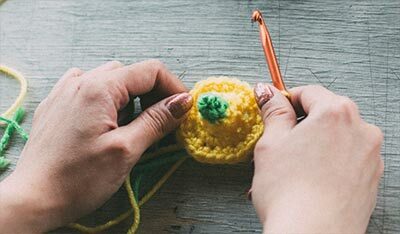 Add a bead in every other knit stitch. End row, cut yarn and sew ends together forming a circle.